Protecting your family, finances, and your future. Over 15 years trial experience. Call Bickman Law Today. Every family law case is unique. Maybe you and your spouse cannot agree on anything, or maybe you have already worked out the terms of your divorce and just need to make it official. In either case, you need a lawyer who is attentive to your personal circumstances and goals. 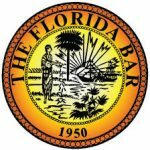 We have the experience to aggressively litigate cases when necessary, but we are also sensitive to the concerns of clients who would prefer to keep family matters from getting adversarial. Our Miami family attorney are committed to providing our clients with the legal counsel and representation needed to effectively pursue their individual goals. Whether you need assistance resolving a difficult divorce case or addressing a relatively straightforward situation, we can help. At Bickman Law we understand that divorce is one of the most difficult things our clients and their children will ever experience. We are committed to helping clients protect their interests in the distribution of assets and debts. 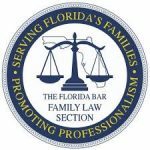 We understand and solve the vast range of International Divorce subjects and offer Florida family law services to clients who have spouses abroad or who have gotten divorced abroad. Spousal Support Issues are extremely complicated in Florida, we use our vast experience to achieve the best results for our clients. Nothing is more important than helping clients accomplish their Custody and Visitation goals in a way that protects their future relationship with their children. For over 15 years we have been protecting our clients’ interests in prenuptial and postnuptial drafting and negotiations. Mr. Bickman is a former Domestic Violence Prosecutor offering attentive, compassionate representation. We help Mothers and Fathers obtain fair and appropriate child support outcomes. We offer free consultations so that prospective clients can feel comfortable discussing the services we offer before committing to retaining our law firm. One major concern many people have about divorce is what will happen to their property. Mr. Bickman will personally take the time to listen to your concerns and evaluate the facts of your specific situation so we can give you advice tailored to you and your family. Speak Directly With Attorney Mr. Bickman.